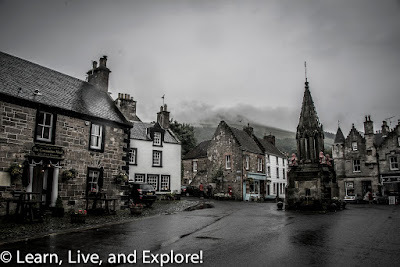 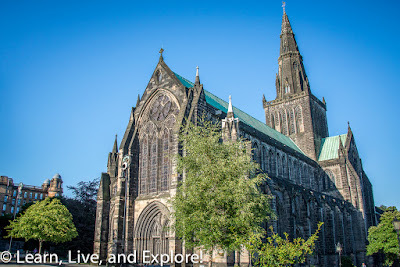 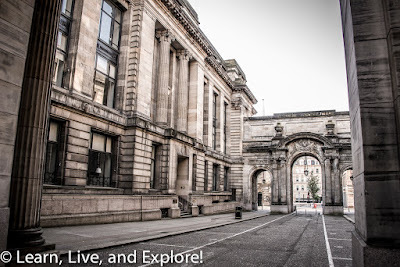 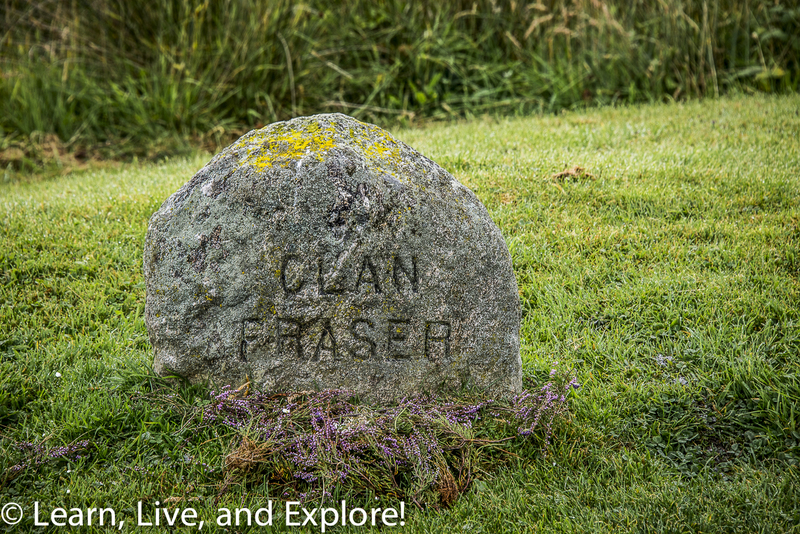 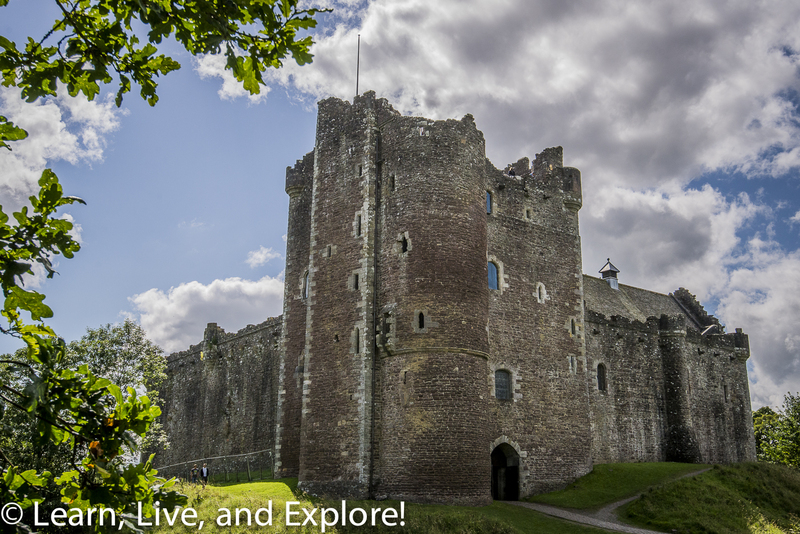 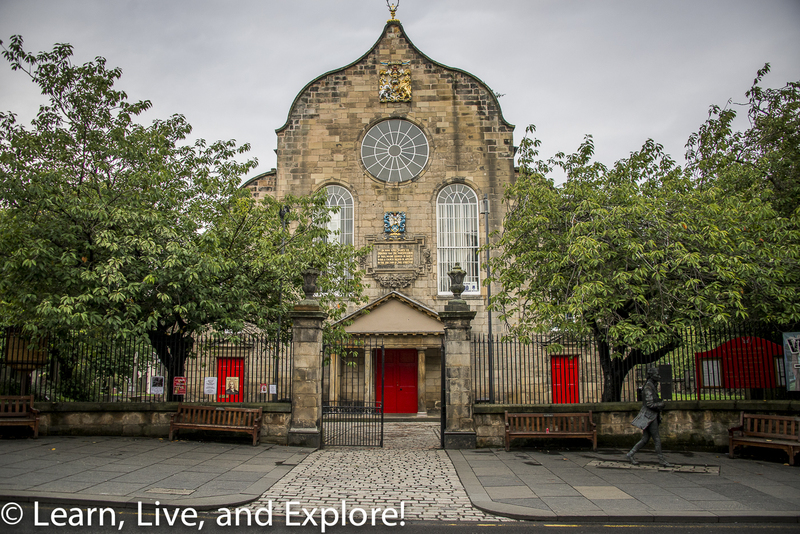 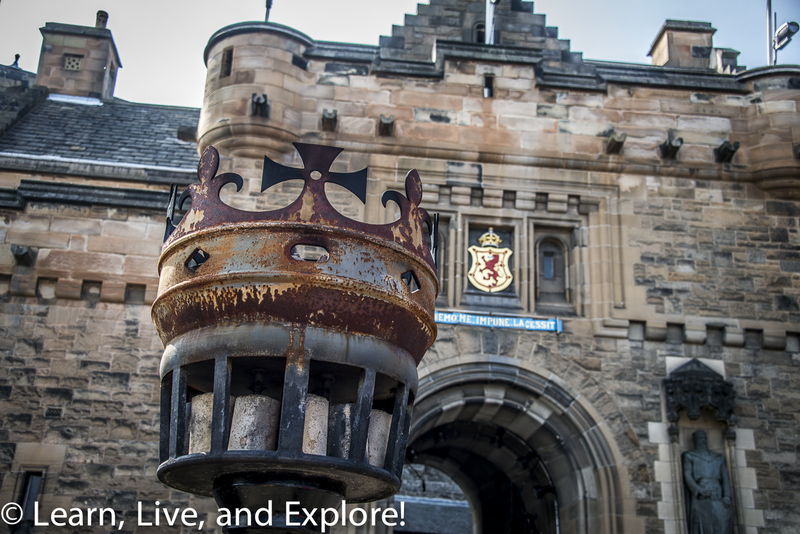 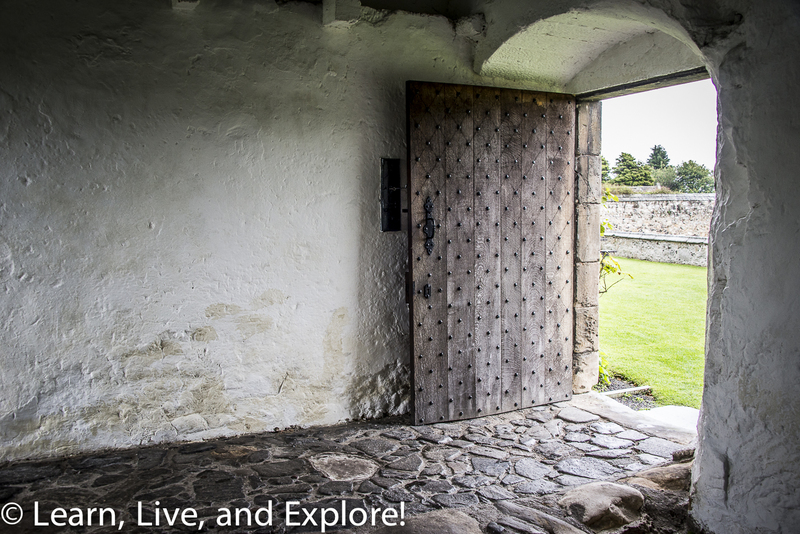 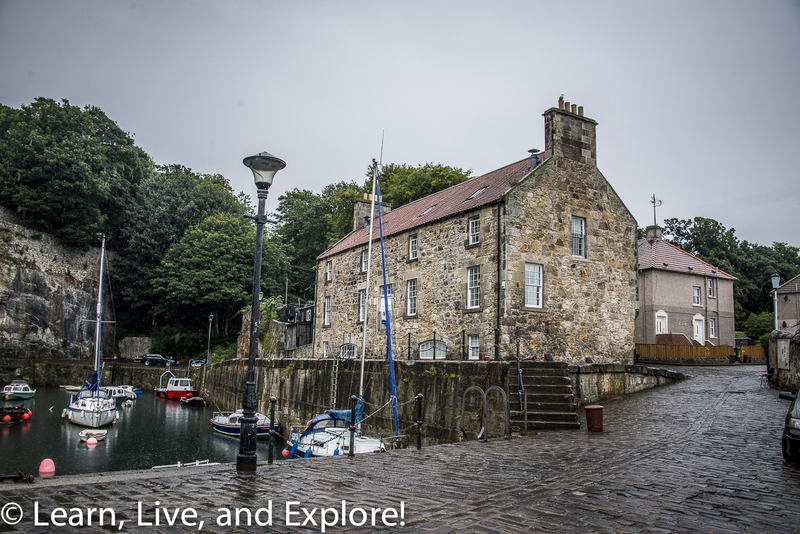 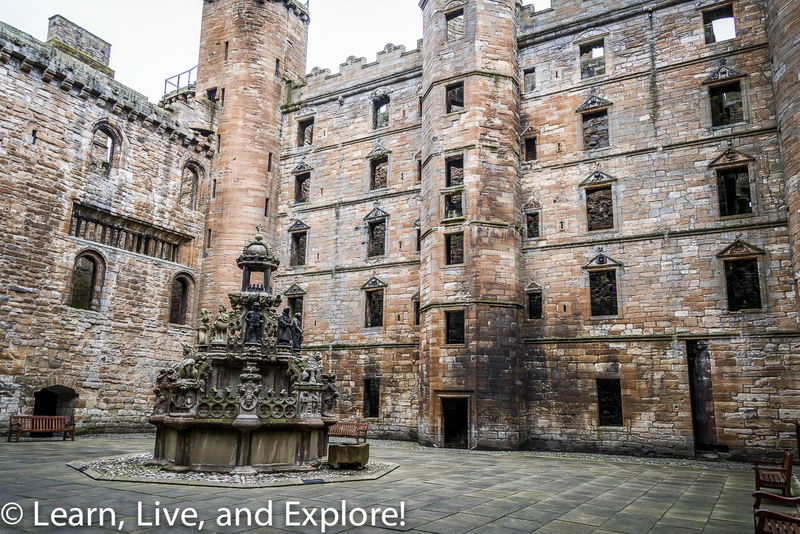 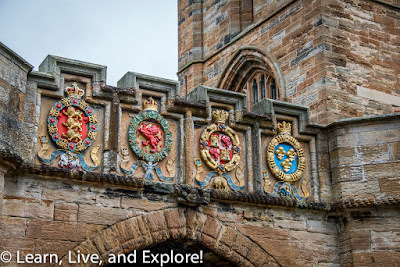 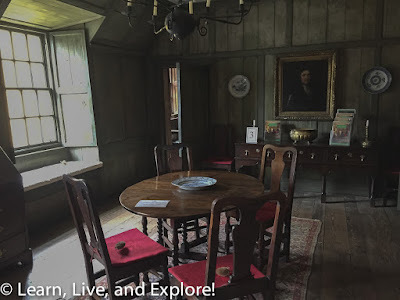 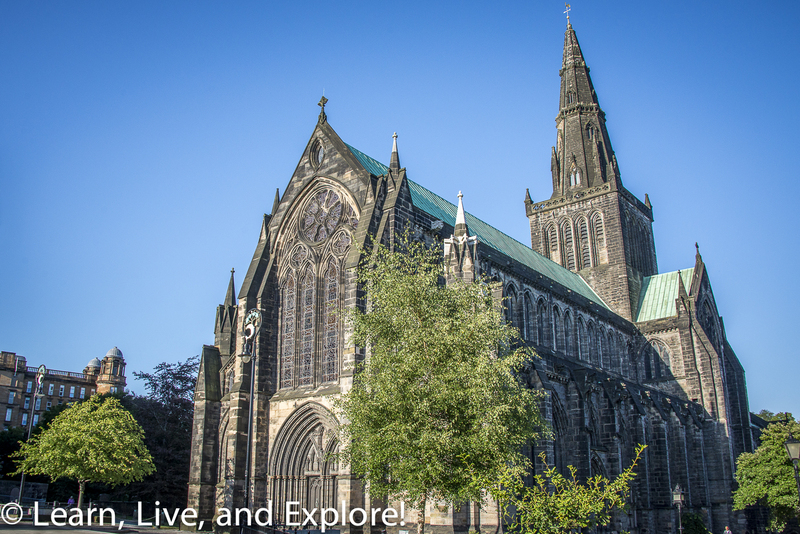 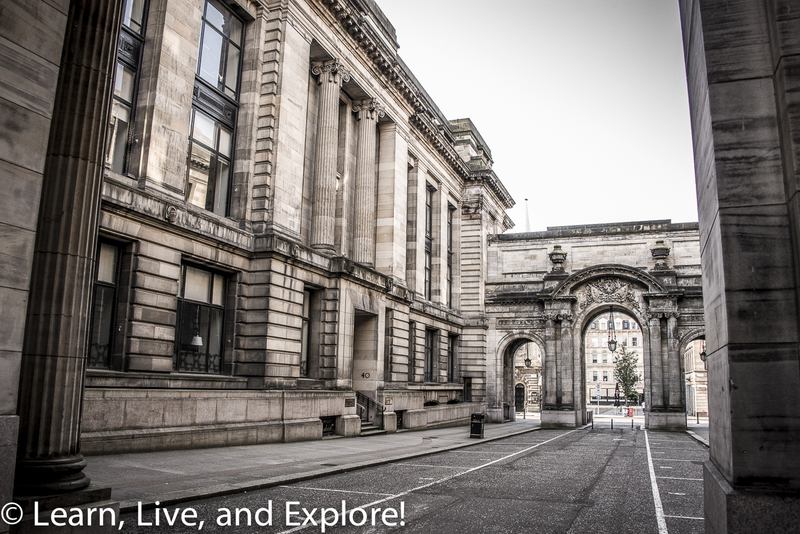 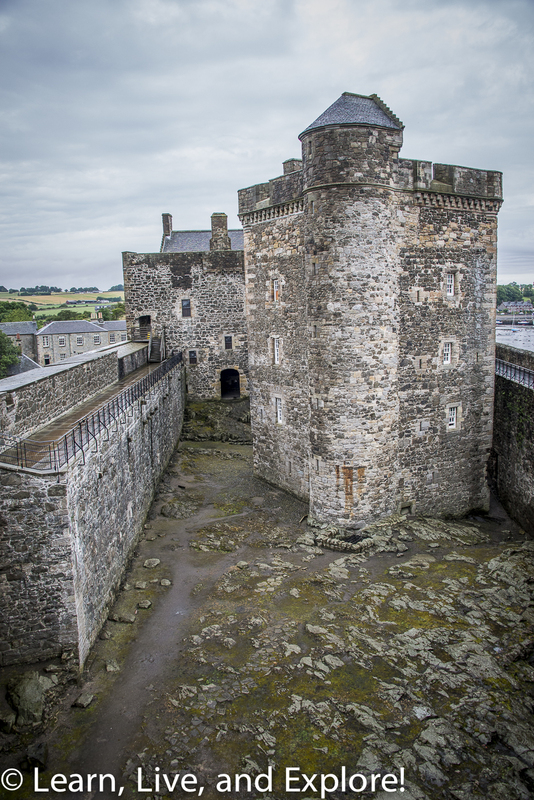 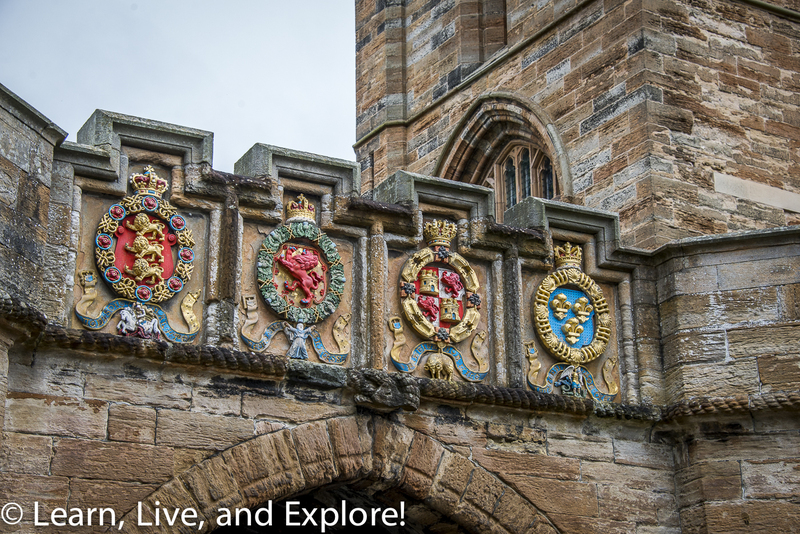 Searching for Outlander's Jamie and Claire in Scotland ~ Learn, Live, and Explore! 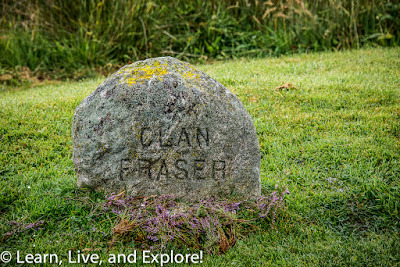 If you haven't seen the first season of the Starz hit show, Outlander, I suggest checking it out. 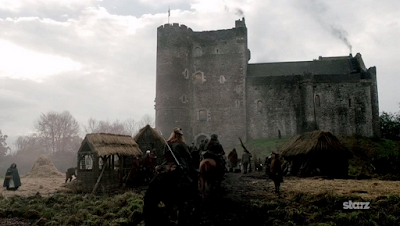 Unlike other movies or TV shows about the highlands of Scotland that were more often than not filmed outside of Scotland, Outlander really showcases the beauty of the country and did all of its filming in country - despite challenging conditions with rainy, cold weather and annoying swarms of midges. 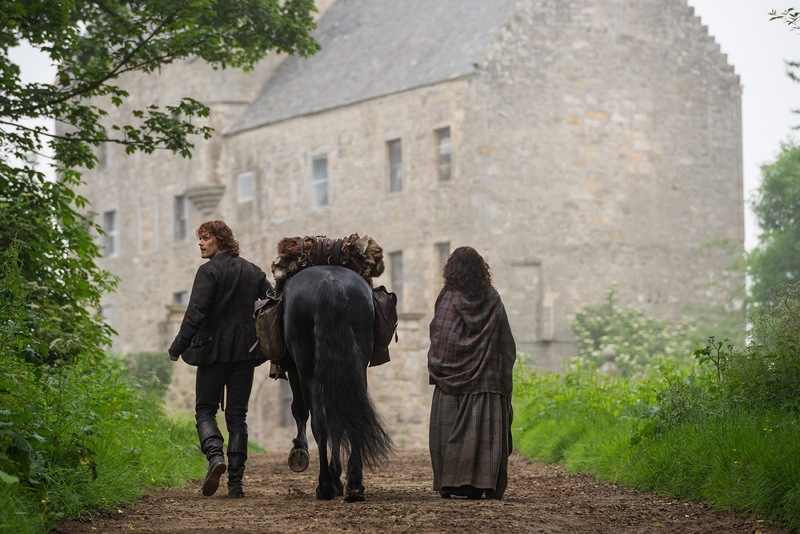 I have enjoyed the first couple of books from the Outlander series by Diana Gabaldon as well as the TV show. 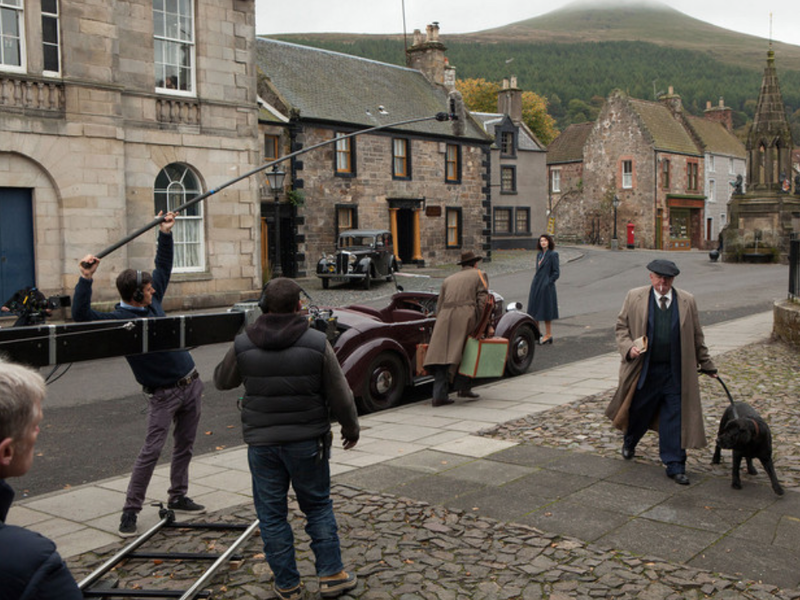 Since the show began airing in the summer of 2014 (in the U.S. at least), the demand for Outlander tours has grown, where fans of the books and shows can visit Scotland and see some of their favorite filming sites. Since I was already in Edinburgh, and a lot of the most notable non-soundstage filming was done around the Edinburgh region (within 1 hr drive), I decided to rent a car and do my own tour. 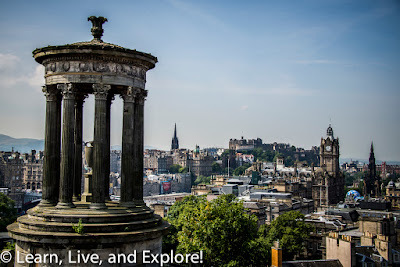 Sure you can hire someone else to take you, if you are not comfortable driving on the other side of the road, but it's so much better to stick to your own schedule rather than a guided group schedule. 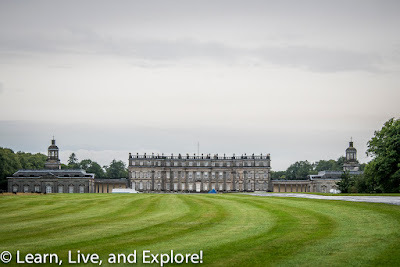 The tour, for me, start and finish times were around 8am and 5pm. 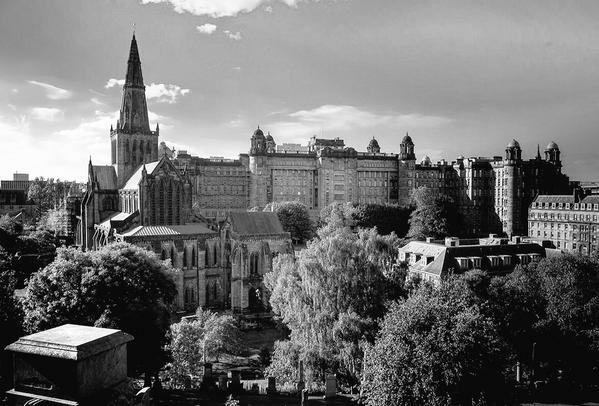 I wish I had more time to grab the two sites south and east of Edinburgh, but I had tickets to a Fringe Festival show that evening. 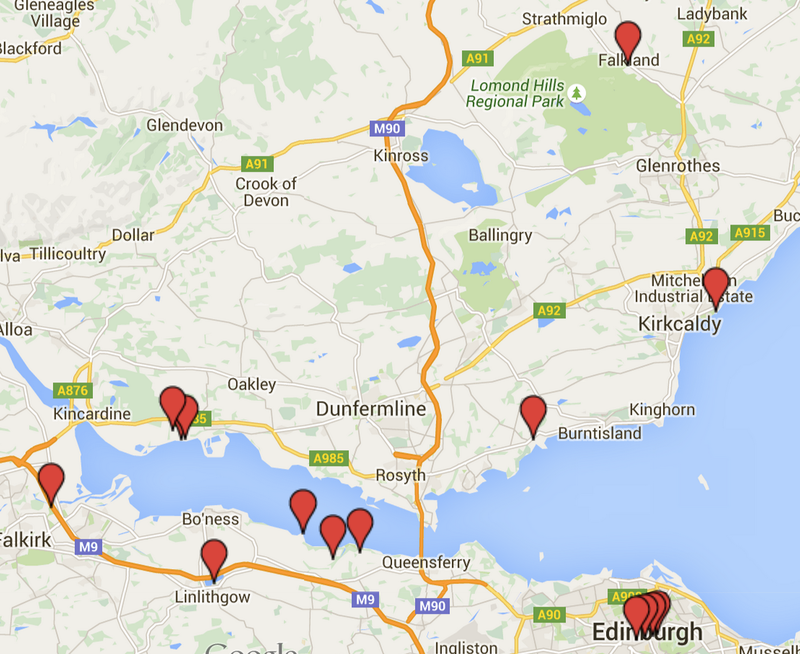 Below is a map of the sites I did visit. 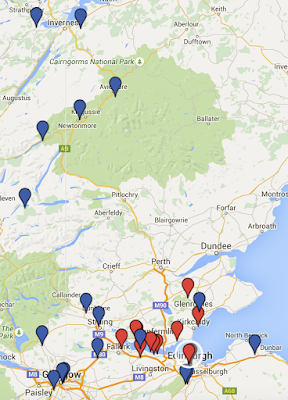 Follow this link for a clickable map that not only has the red markers for my tour but blue markers for places I didn't visit on this day trip out of Edinburgh. 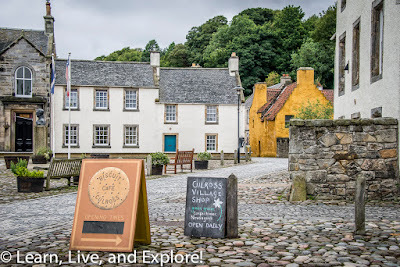 The blue markers on the clickable link map are either Edinburgh locations not in Season 1 but in the book series, major Outlander sites not in Edinburgh that I visited in the days following, or filming sites I did not visit. 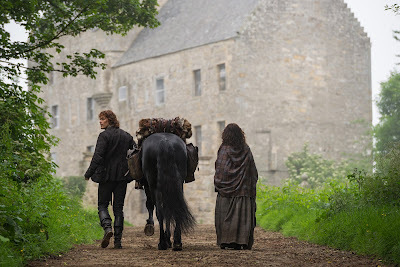 I arrived before opening time on the estate, so not only was I not able to get the more beautiful rear photo of the house (where scenes were filmed of Jamie and Murtagh leaving after a visit with the Duke and, later, the dual between the Duke and the head of the MacDonald clan). 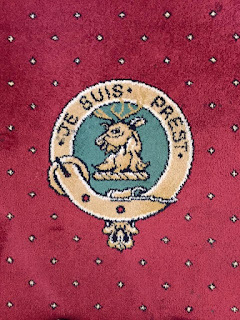 The interior of the house was used for more Sandringham footage. 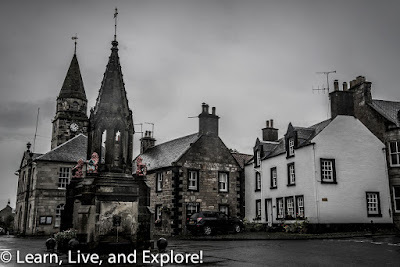 While Hopetoun is rather easy to find, Midhope takes a little maneuvering. Actually, it's easiest to just set your GPS for Abercorn Church, then drive past it and take your first right. While you can drive up to the point of being able to see Midhope, I would suggest parking at the end of the drive and not driving all the way up next to the castle. 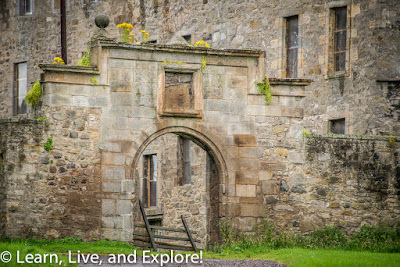 Plus, with your car in the way, you won't get a shot like I did of Lallybroch! 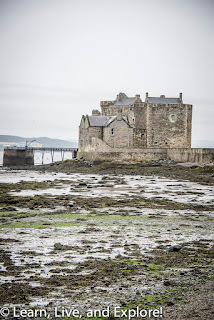 This old military fort on the River Forth is a dreary and cold place used to film the horrible whipping scene of Jamie by Black Jack Randall. The metal railings were covered on the left with wood for authenticity, and a stand in the middle of the castle grounds was erected for the scene. Blackness is part of the Historic Scotland Explorer Pass, a 3 or 7-day pass for many of Scotland's popular sites. 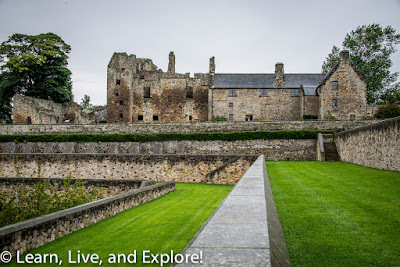 I would suggest thinking about where you want to go while in Scotland, doing the math, and seeing if buying a pass is a discount over purchasing individual entries at each site you visit. 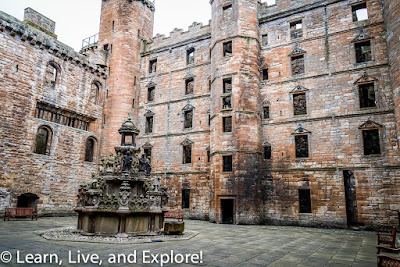 Linlithgow Castle is one to visit despite its Outlander reference. This was once a giant working catle for King James the IV of Scotland, later James the I of England. James was the son of Mary, Queen of Scots, and the successor to the English throne after Elizabeth I. 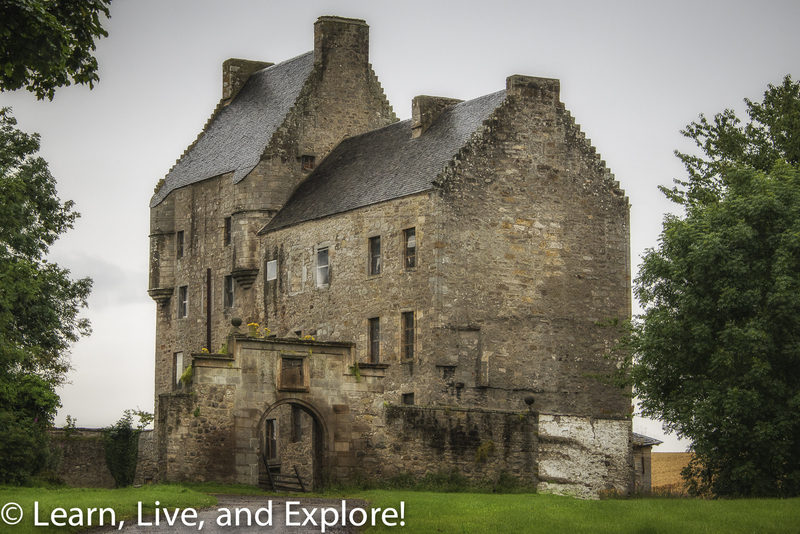 The castle is just the shell now, with all of the roofs and upper floors beyond the 2nd floor gone. 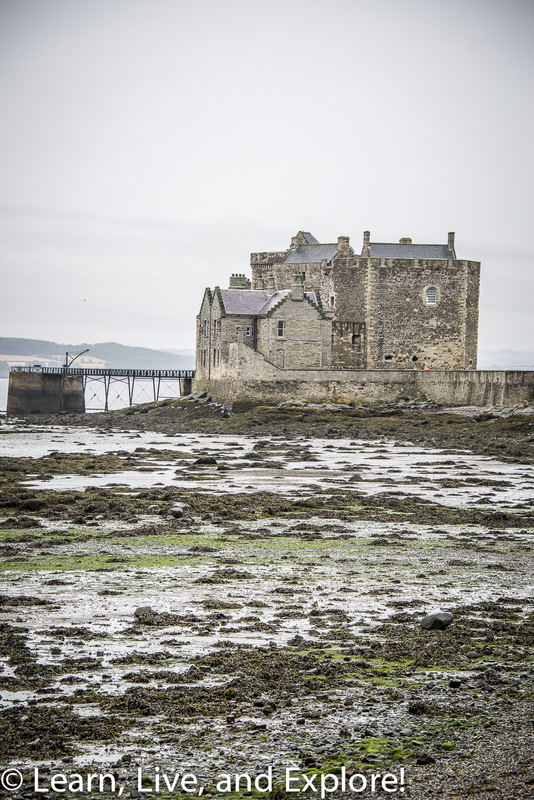 Still, a significant site for Scottish history. 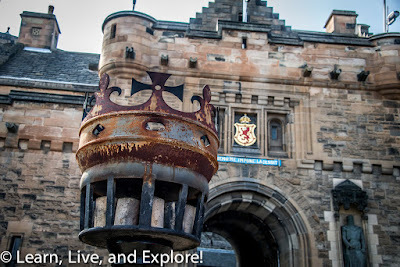 This site is also covered under a Historic Scotland Explorer Pass. This has nothing to do with Outlander, but if you're driving from Linlithgow to Culross, then you can't miss these horse head modern art installations from the highway. 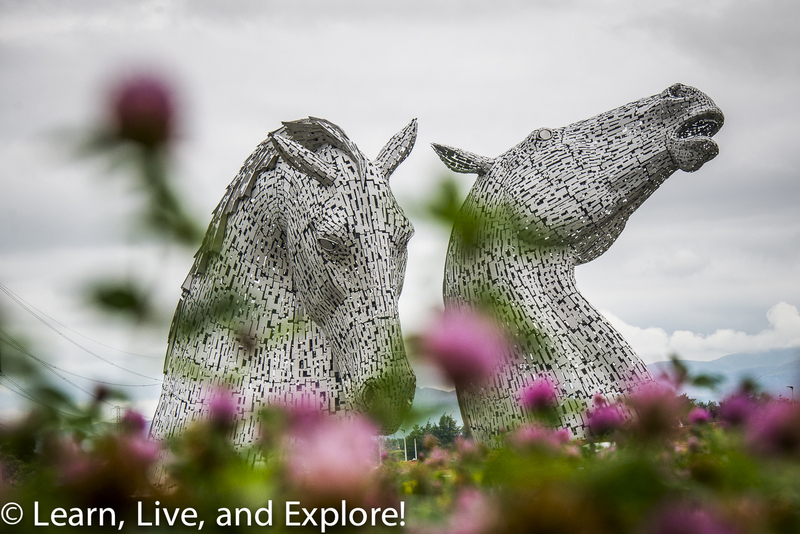 They are a bit of a trick to access, and it costs £2 to park, but I'd like to think of it as an Outlander tribute to Donas the Horse. 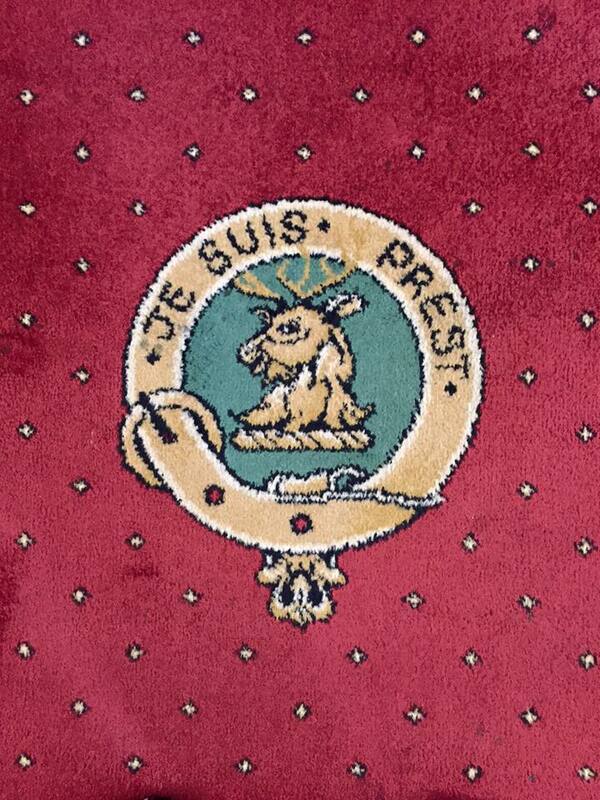 So it's going in this tour! Culross (pronounced Cool-russ) is a small village north of the River Forth, practically across from Blackness. When you drive into town, you will see an Abbey on your left. 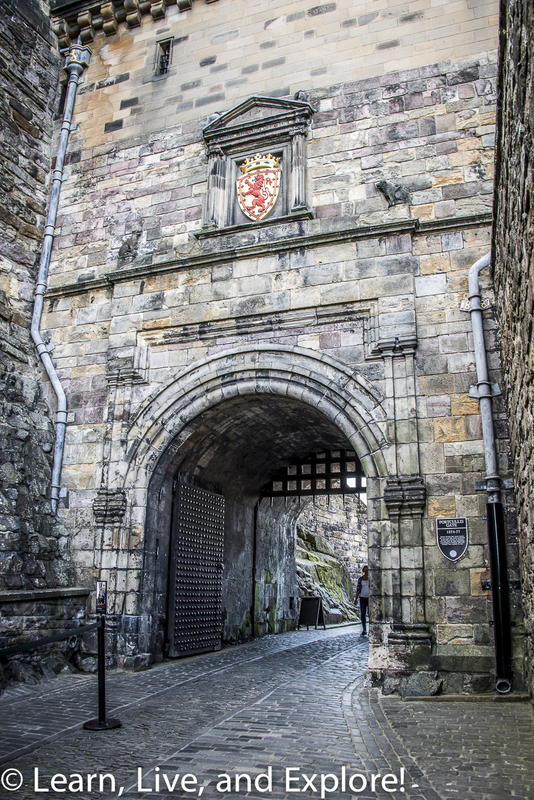 Consider parking around there, or else consider following the increasingly narrow street to the bottom of the hill. 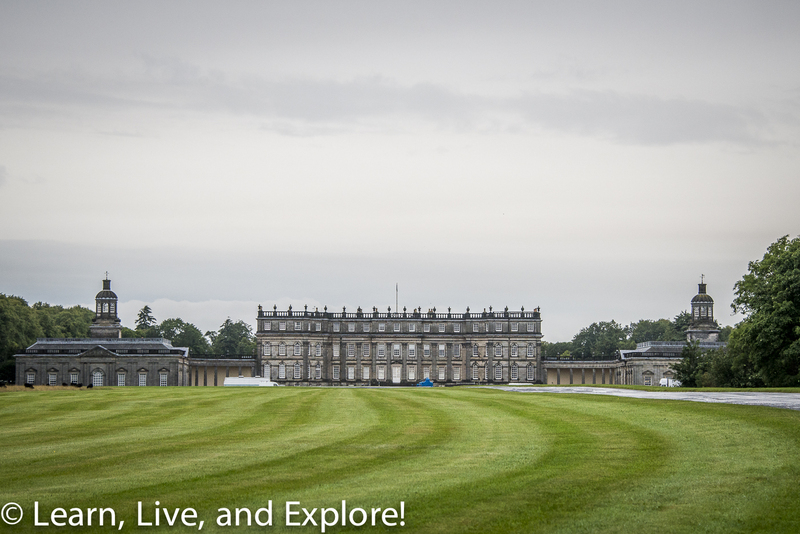 There is a limited amount of parking near the center of town, by the Town House and Palace. 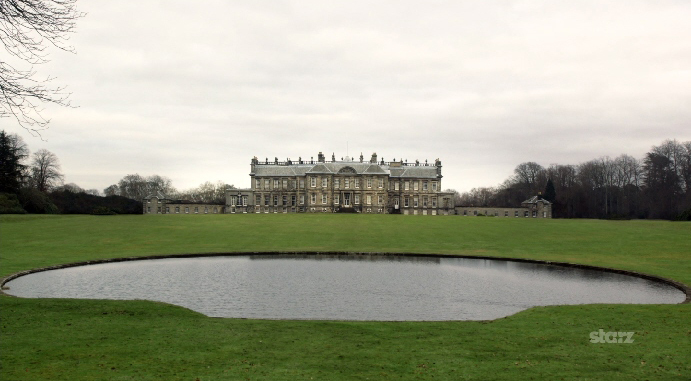 You will need to visit the Town House first to buy a ticket to the Palace, the mustard yellow colored building in the photos below. The Palace is managed by the National Trust because it is a very old home, dating back to the late 16th century, owned by a successful merchant. 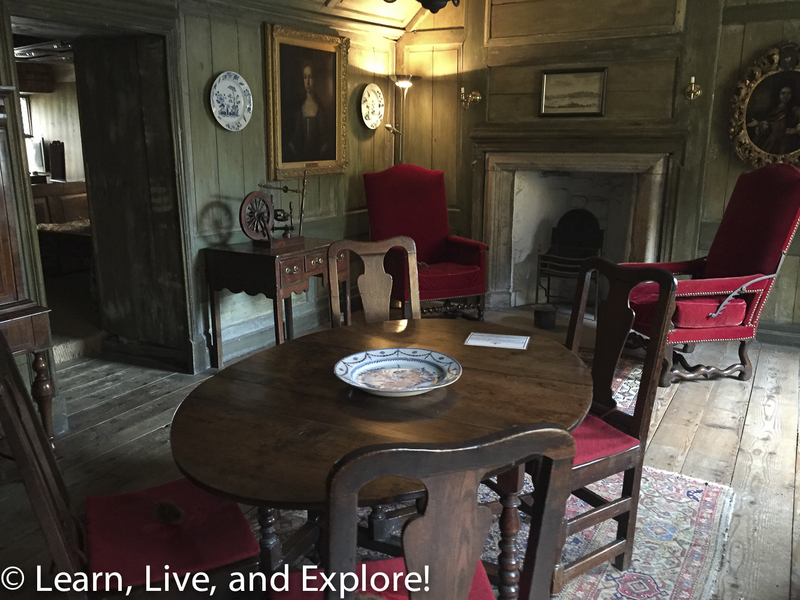 Besides being a filming location on Outlander, it also has a room with a painted ceiling that is breathtaking. 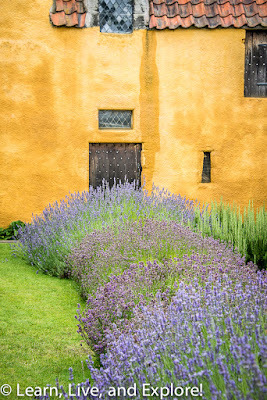 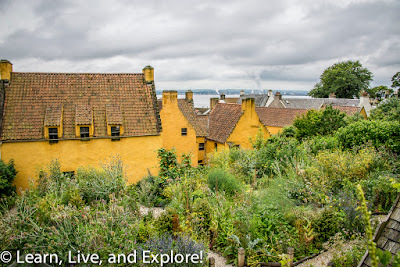 The gardens behind Culross Palace were used by Outlander to film some garden/herb collecting scene between Gellis and Claire. 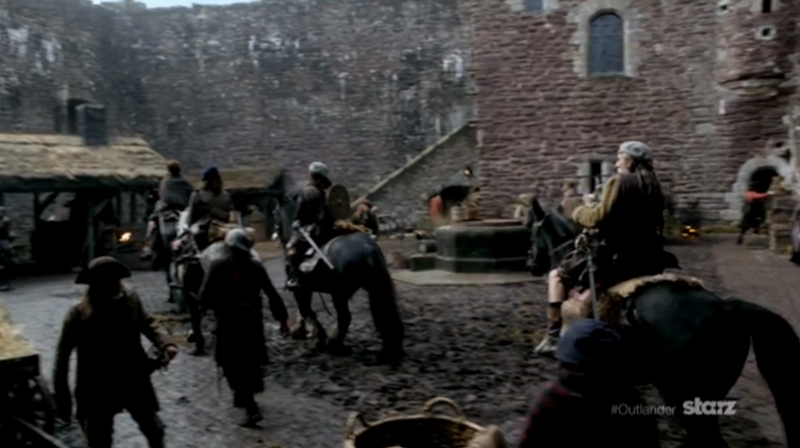 Castle Leoch was superimposed behind them in post-production. 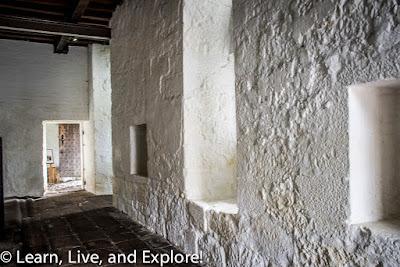 Inside Culross Palace, one of the first rooms you see on your left was used as one of Gellis' rooms. 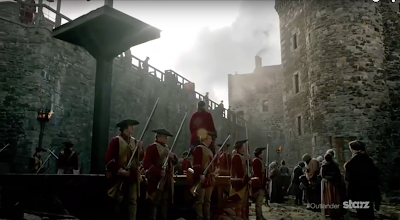 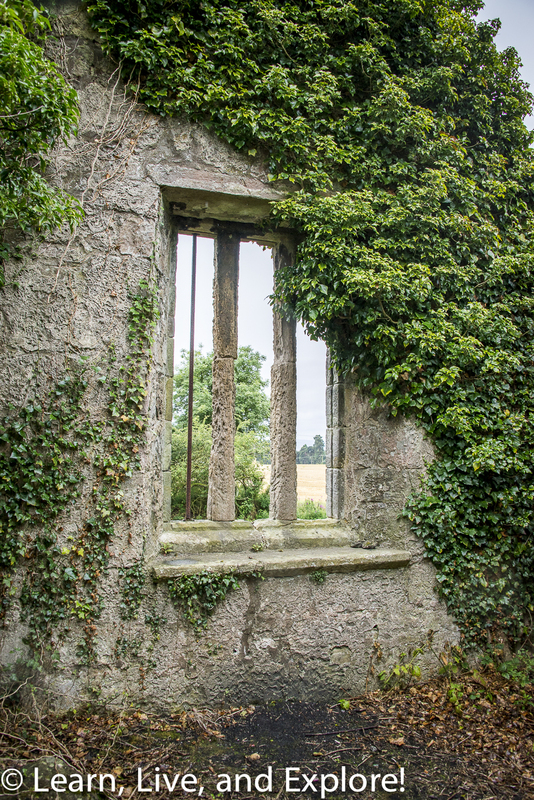 In the scene where Jamie "rescues" Claire from an increasingly uncomfortable interrogation from Gellis, Jamie enters through that door in the center of the photo below, with Claire looking down at the boy nailed to the stocks below in the square. Gellis is on her lounge by the fire. 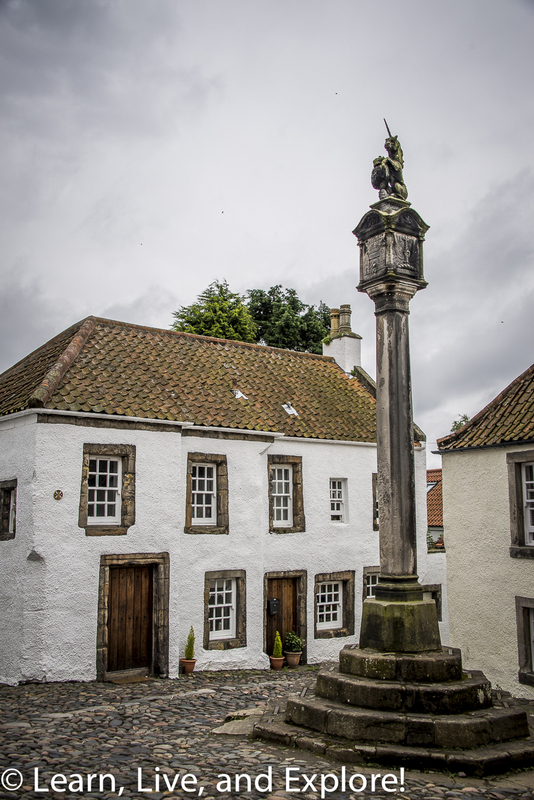 Up the hill from Culross Palace, you may have spotted the Mercat Cross on the drive or walk down. 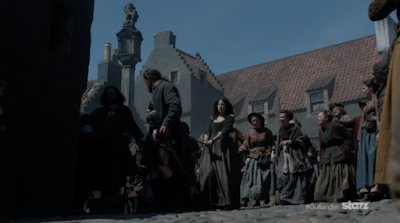 This square's buildings were painted a grey-blue color for the scenes used in Outlander, which included the ear nailing of the boy and the dragging of Claire and Gellis to their trial for witchcraft. 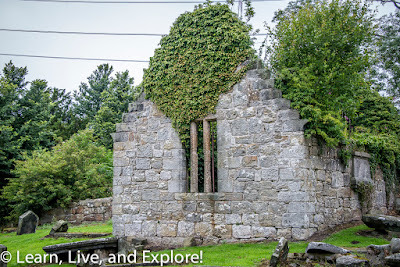 This church ruin is hidden up the hill from Culross. While I did the climb/walk to the site, I think that you should be able to easily drive to the end of the road, park, and walk the short earthen path through the fields to the site. 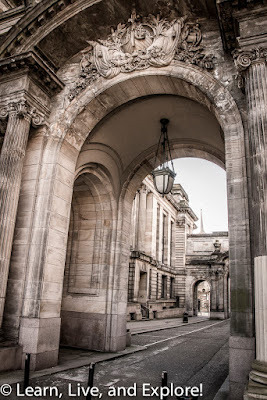 If you parked near the Abbey, head uphill and the road is the second one on the left. Follow to the end of the road where you see signs for trails. 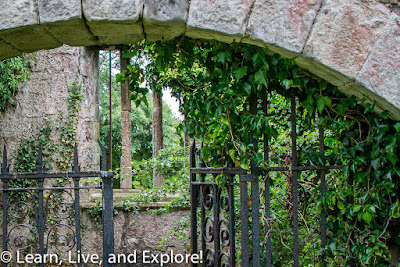 Take the trail on the right and it's maybe 100 yards if that. 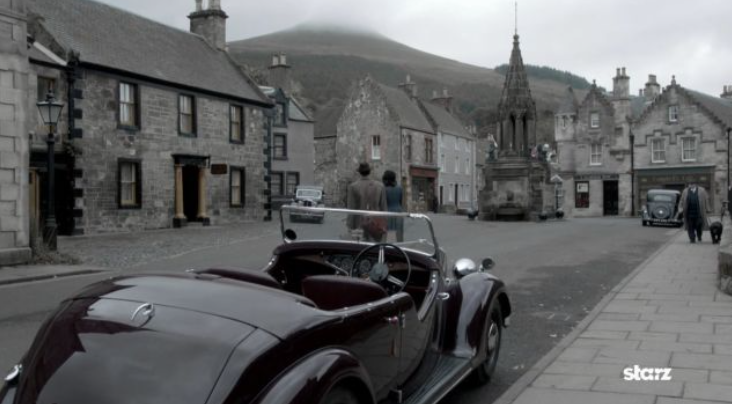 The West Kirk was used to film the scenes where Jaime takes Claire to investigate the poisoning of Mrs. Fitz's nephew and finds Lily of the Valley. 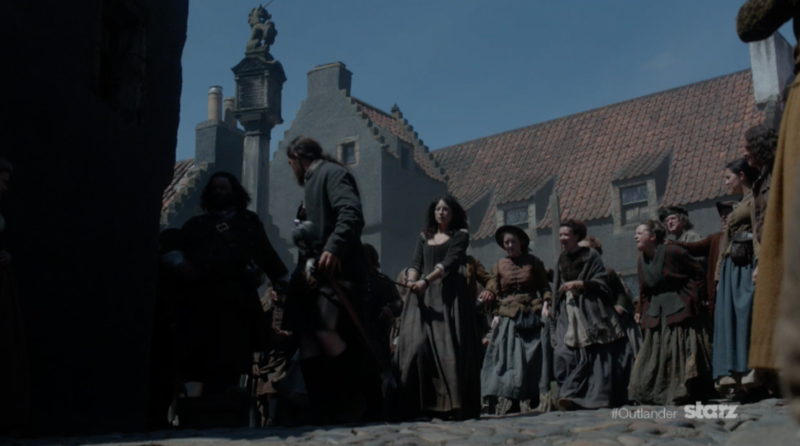 You will want to set your GPS to the Covenanter Hotel to find the several filming angles used in the TV series. Like Culross, some of the buildings were painted to more muted greys. I tried to desaturate my photos so that they embraced the look of the filming location. Of course, here is where the mysterious highlander is by the fountain in the rain looking up into Claire's room. 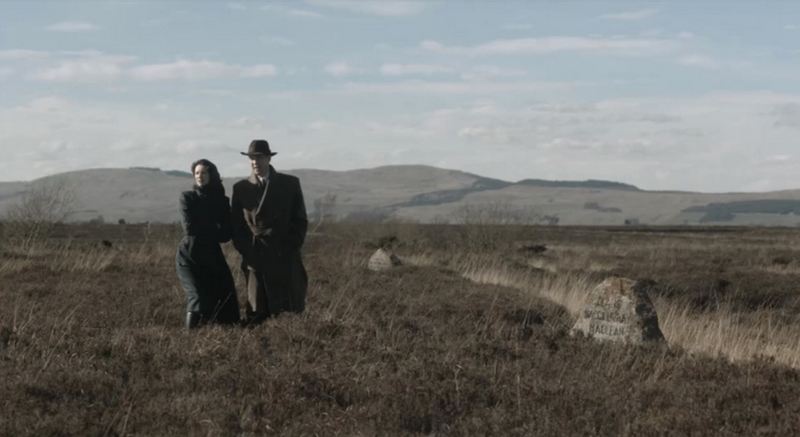 Perhaps inspiration for a reenactment photo? 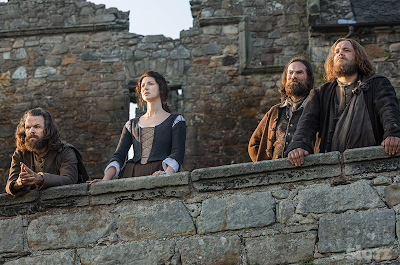 The monastery scenes were all shot at Aberdour Castle. Many of the rooms were altered to fit the desired look of the set. 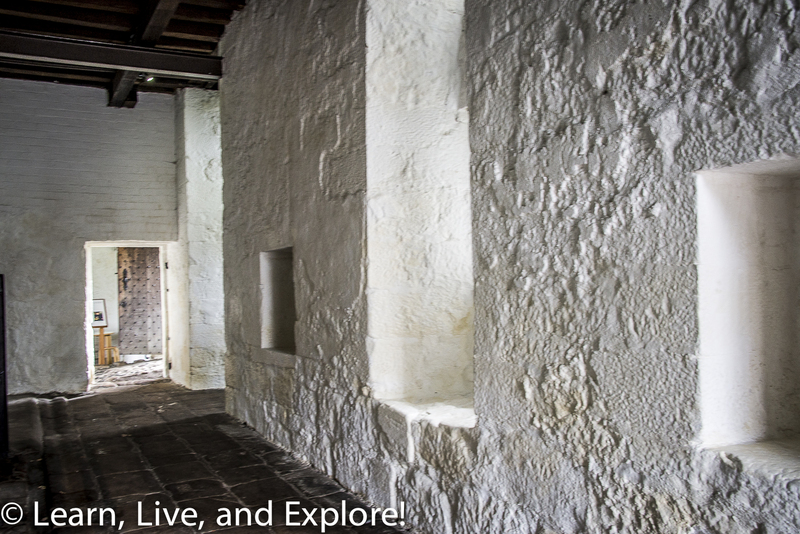 For instance, the stable room was made smaller to become a hallway. 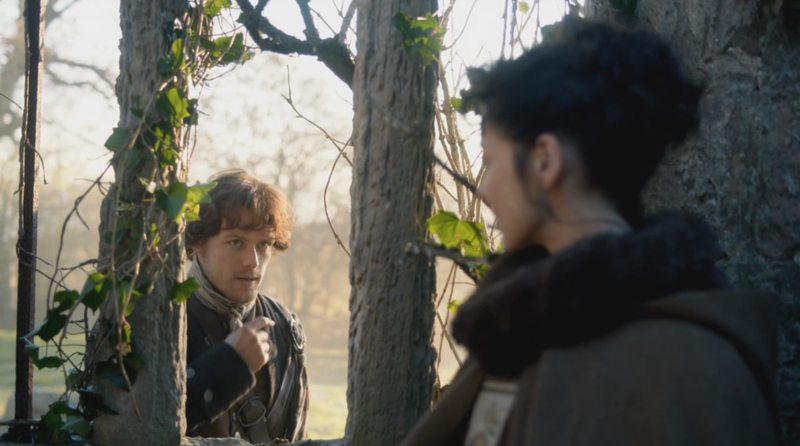 Looking through my photos, I cannot figure out which room was made into Jamie's bedroom. And the shot of Claire and the highlanders was on the exterior overlooking the castle's gardens, in front of the castle ruins section. 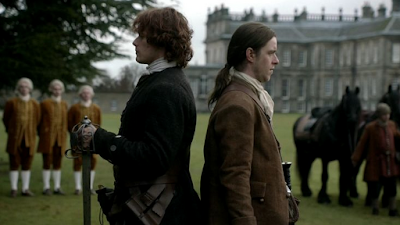 One of the attendants of the castle tried to convince me that the kitchen in the ruins was used as Jamie's cell in Wentworth prison, based on her interpretation of the scene, but I have yet to match it up to Episode 16. 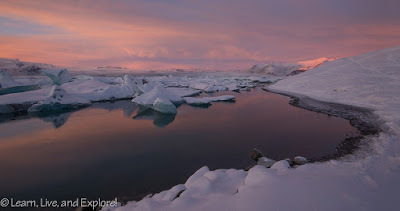 Everything I have looked at does not come close. 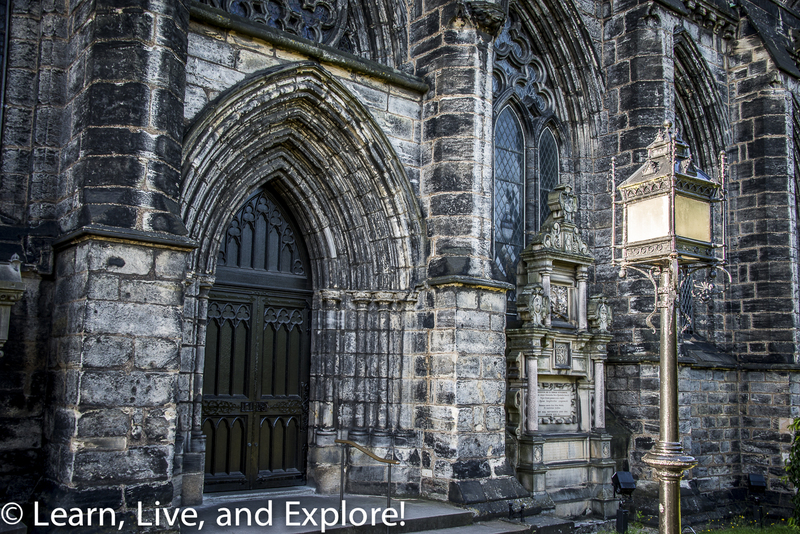 Check it out for yourself if you go. 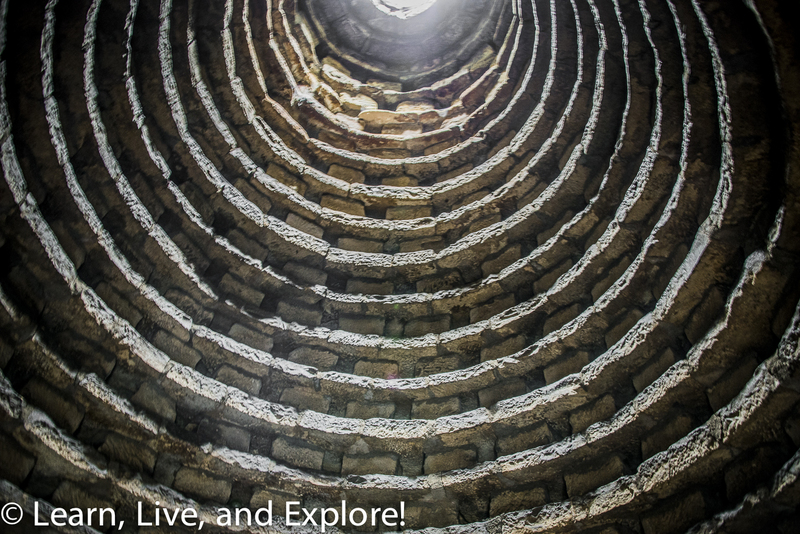 There is also a really neat meat storage dovecot in the back of the gardens that you should definitely check out. Cannongate Kirk: This is where Colum meets with Jamie and Claire for the last time before the battle of Culloden. 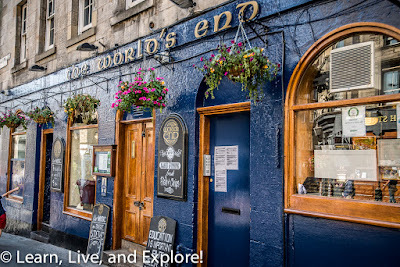 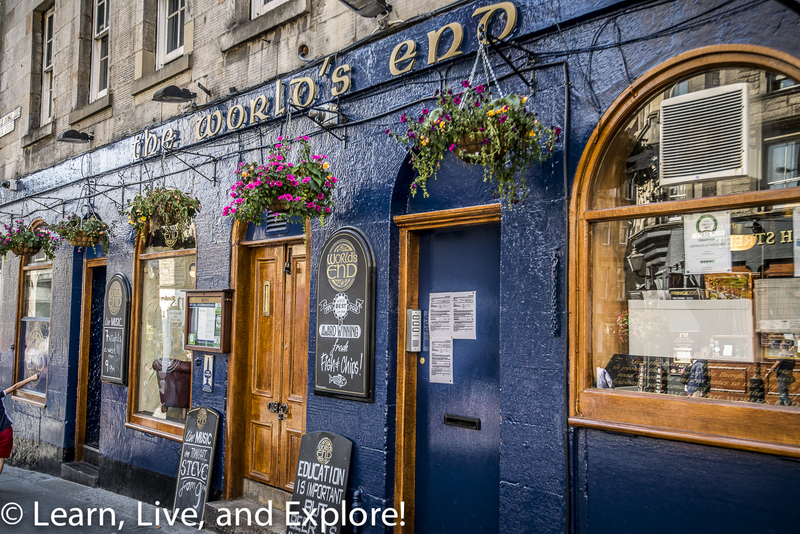 The World's End Pub: Jamie and Claire duck into the pub to escape the rain. Heart of Mid-Lothian (Site of the old Tollhouse Jail): the Tollhouse is referenced heavily as a prison worse than anything else in Scotland. 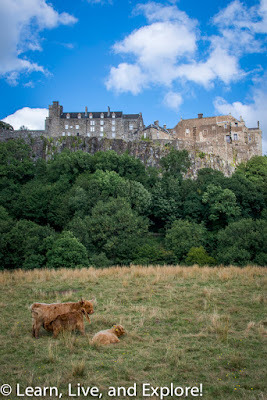 Edinburgh Castle: Bonnie Prince Charlie gained control of Edinburgh for a bit during his Jacobite campaign, using both the castle and the Holyrood Palace. 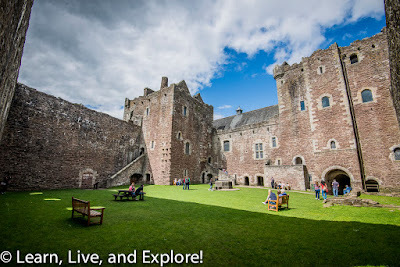 Used for Castle Leoch, also filming location for Monty Python's Holy Grail and Game of Thrones' Winterfell. 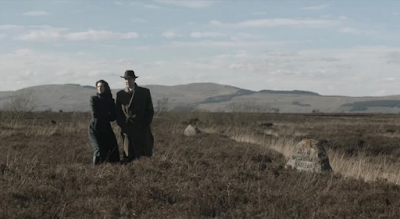 Getting to the battlefield was a short, but expensive, taxi round trip. 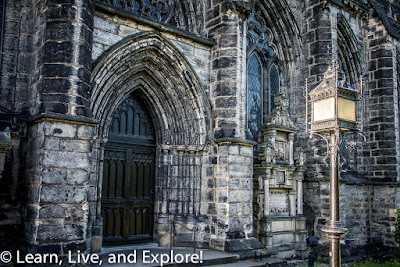 There are also bus options or find it as part of an organized tour. 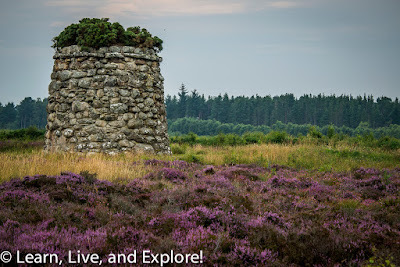 The Culloden Battlefield Visitor Center is really well done, and tells the story of the rebellion campaign from both the Jacobite and the Government (English) perspectives - on opposing walls. 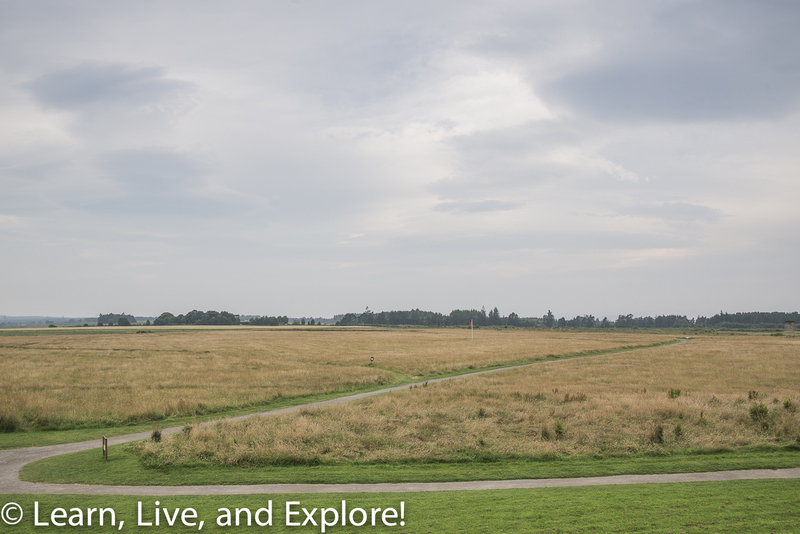 They also had a GPS guided walking audio tour you can take with you into the battlefield to get a perspective of what happened where. Building where Frank proposes to Claire, arched street behind Glasgow City Chambers. Also filming location for opening scene of Brad Pitt's "World War Z." 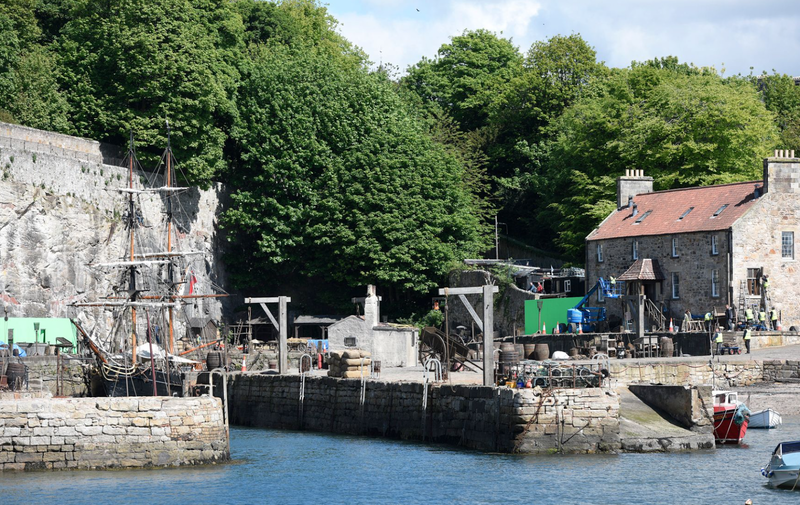 Season 2 - reported closed for filming, scene unknown. 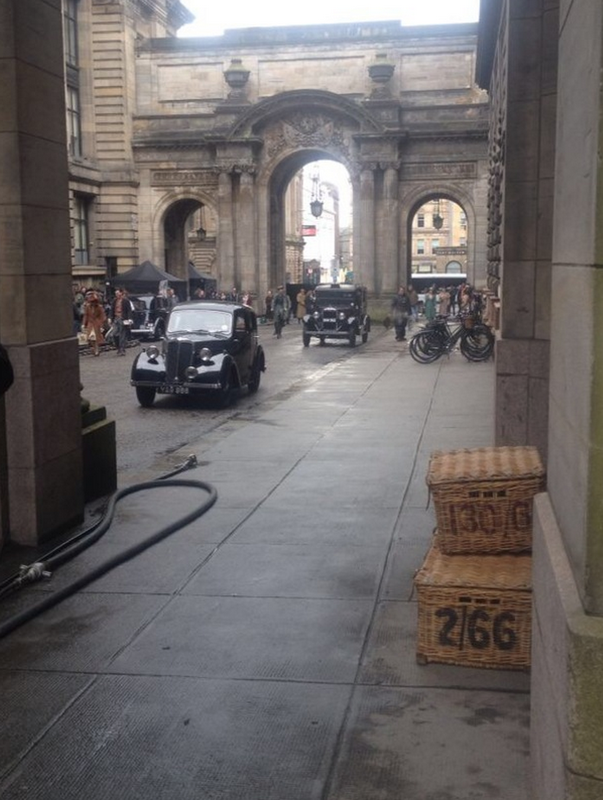 Also photos were posted on Twitter by Matthew B. Roberts, one of the show's executive producers. 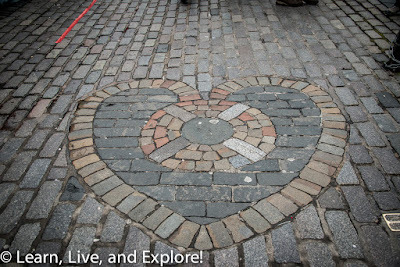 Here is one of the photos Matthew B. Roberts posted. It's a view of the cathedral from the Necropolis on the hill. 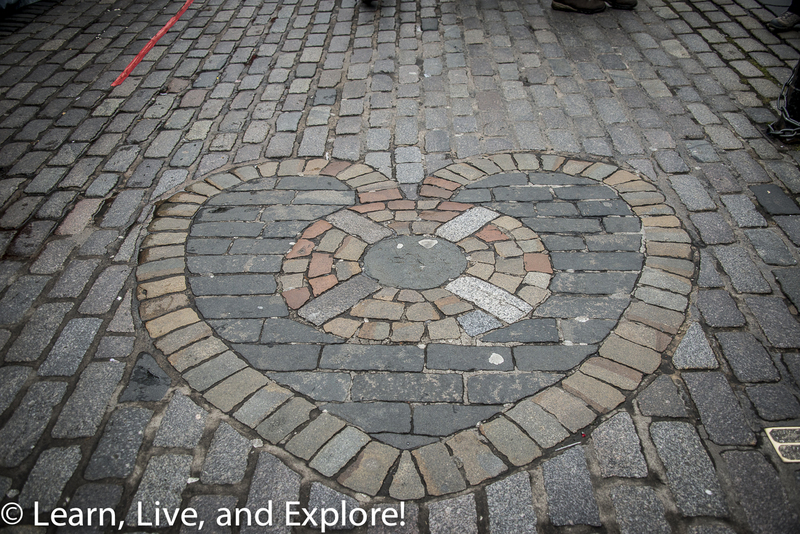 Thanks for virtual journey! 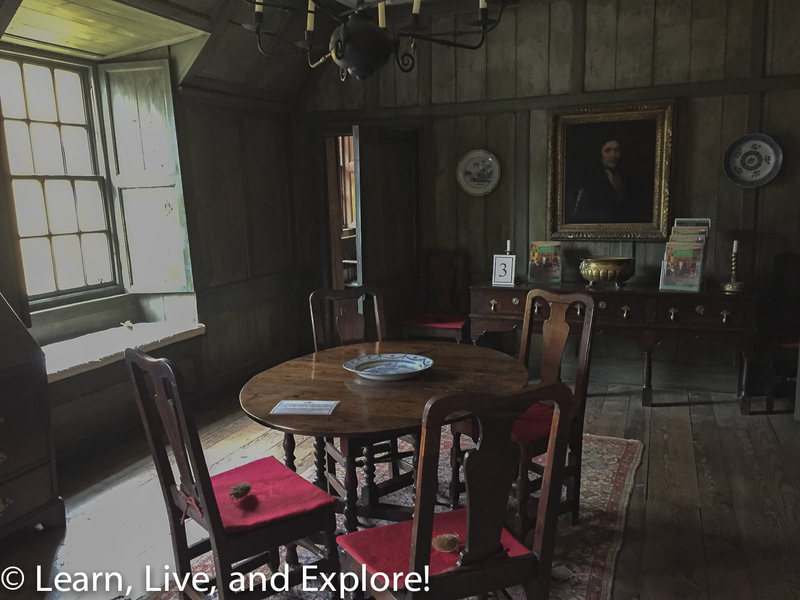 It was interesting to see places from your point of view. 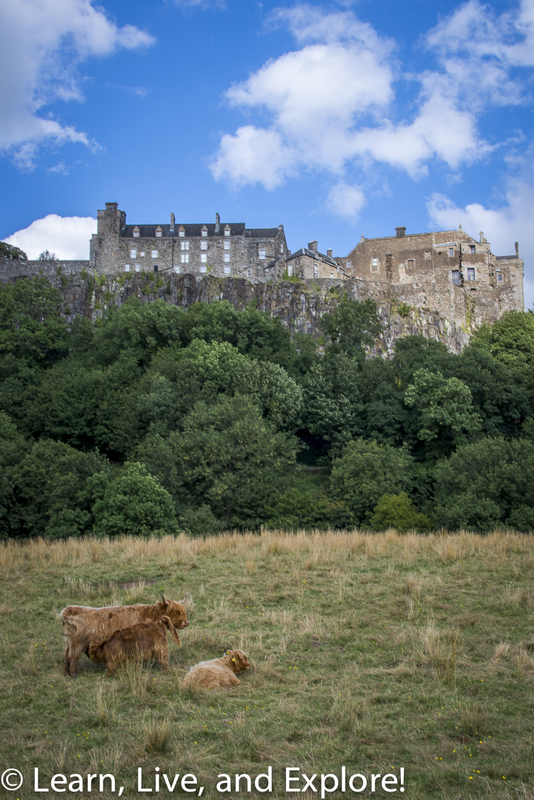 Note on Stirling and William Wallace: Wallace was instrumental in the Wars of Independence and died in 1305. The first Jacobite rebellion was in 1715.